After a 20-year hiatus, the Triennale di Milano is back under the theme “Twenty-First Century. Design after Design,” and the University of Montreal’s School of Design will represent Quebec and Canada at this major international design exhibition. 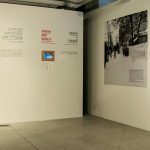 Under the theme “From the Workshop to the Back Alleys: Engaged Designers in Civic Life,” the School of Design will present the workshops of six professors, as well as eight projects created by recently graduated students, at the opening of the XXI Triennale to be held on April 2. “We answered the call of our Italian colleagues, both in the tradition of the links between Canada and Italy and in the wake of future projects between Quebec and Italian cultural communities. In this regard, I am delighted to have received the support of the Canadian Embassy in Rome to represent Canada at the Triennale. The major contributions of the Quebec Delegation in Rome and Quebec’s Ministry of International Relations and La Francophonie are also greatly appreciated,” said the School of Design’s director, Fabienne Münch.